Forget the boring Premier League, Northern League Division Two is where all the excitement is this season. Anyone from top of the table Northallerton Town down to eighth placed Willington can still win the league and get promoted. 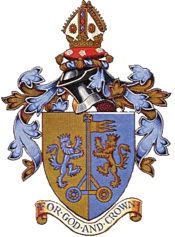 Northallerton Town could be promoted as early as next Saturday, if Town win the next three games and Hebburn lose the next three games, then Town will be playing Division One football next season, but football is never as straightforward as that! Realistically Town need another 9-12 points to get promoted, which includes avoiding defeat at home to Whickham tomorrow. To win the league Town need to rely on Blyth dropping points. There are lots of twists and turns still to come. On paper Hebburn have the “easiest” run-in, but anyone can beat anyone in this division. Whickham have the toughest. Town have a mediocre run-in starting with the toughest test at home to Whickham tomorrow. Town then face bogey team Heaton Stannington at home two days later, it would be a great time to beat them for the first time. A home game against Esh Winning follows on the following Saturday. The final three games are away to an inconsistant Durham City, at home to Willington and a Bank Holiday Monday finish away at promotion chasing Thornaby – things could get messy if both teams still need points to go up. Of course there is a Ernest Armstrong Memorial Cup Semi-Final to squeeze in as well. Whickham are away at black and white teams in their next three games, Town, Heaton and Tow Law. Blyth have a tricky away trip to Thornaby, two home games against Willington and Billingham Town, and an away trip to Durham City during the next week. Fourth placed Thornaby are at home to Blyth and Crook, and finally Hebburn are away to Tow Law, at home to West Allotment Celtic and away to Ryton. It is going to be a very interesting, tense, exciting and whatever descriptive you can throw in to the mix end of the season. Either way your support is absolutely vital!